With so many speciality coffee producers, traders and roasters around, it can be difficult to work out where your coffee is coming from and whether coffee farmers are truly getting a fair deal for their crop. When our founder Dan worked in coffee and cocoa traceability, he encountered convoluted supply chains and lots of middle men buying and selling coffee, whilst farmers received very little. Dan decided to form Chimney Fire Coffee to make the connection between coffee drinkers and producers as small, transparent and fair as possible. Currently less than 1% of farmers sell directly to speciality coffee roasters. However, a small supply chain is often far more beneficial to coffee farmers because it helps to ensure that they receive fairer wages for their speciality coffee crop. With larger supply chains, their profit is often minimised with money going to coffee traders and retailers. Speciality coffee roasters, as opposed to commercial coffee roasters, tend to take more of an active role in the farmers and their business. Once we begin to understand the working conditions of the farmers we can work out how we can help them. We often travel to meet the farmers on origin visits which help us to develop relationships and provide support where we can. Recently we were able to contribute $366.09 to a ShareTrade Farm Transformation Plan for Jorge Taborda’s Colombian coffee. This plan helps to improve farm quality, yield, and environmental performance and may also support the rental or purchase of additional land. 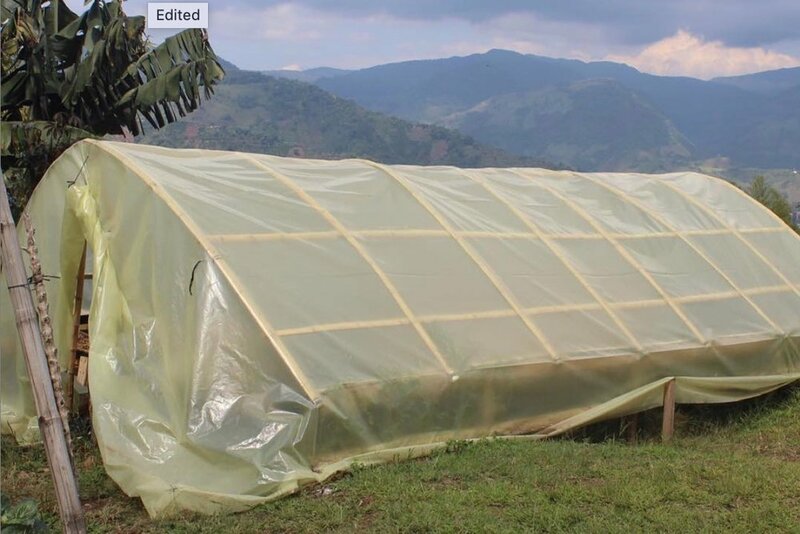 Jorge has used the money for new drying facilities as pictured above. We hope to be able to relay many more stories such as this whilst we work on strengthening the connection with our farmers and ensuring that they are receiving as much support from us as possible in order to run a sustainable business.